The New York City St. Patrick’s Day Parade is one of the city’s greatest traditions. In 1762, the first parade was an occasion for Irish immigrants to revel in the culture of their homeland whilst celebrating their newfound freedom. Today, millions of spectators follow along the parade route, which begins at 44th Street and continues up 5th Avenue to 79th Street, passing St. Patrick’s Cathedral. Hundreds of thousands of marchers, representing various Irish societies, pay homage to St. Patrick, the patron saint of Ireland and of the Archdiocese of New York. 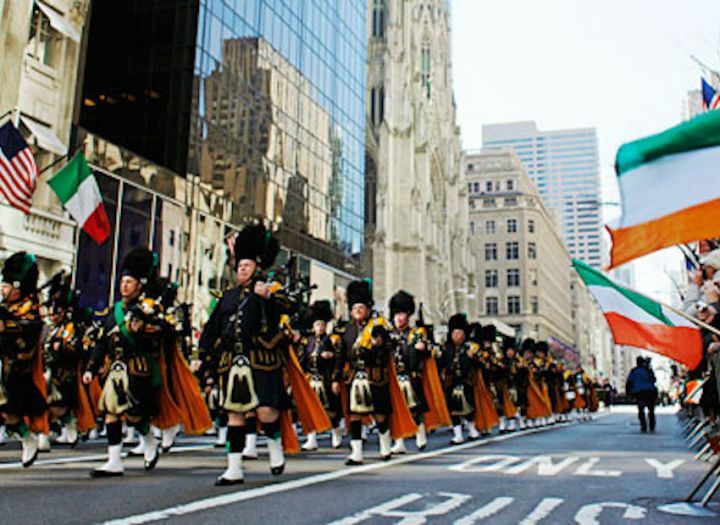 The parade is a fun way to see city sights, including Rockefeller Center and Central Park, while getting into the spirit of Irish tradition.